Are You Still Safe When Browsing The Web? We surf the World Wide Web almost every day now. That’s the new norm of life these days. People can’t help themselves from checking their various social networking sites daily out of #FOMO or the fear of missing out. Whether it be Facebook, Instagram, Twitter or some other trendy and hip social media that’s in right now, count on everyone (both the young and the old) to flock it and waste all their free time on it. We share more and more data online the more we frequent the web on a daily basis. Now that almost everyone is on the web, we should think about our safety and security seriously because criminals have found a new playground too. If you think about it, you put in a lot of personal and sensitive details on your SNS accounts that others may inadvertently use to hack your other accounts or cash in money through online banking transactions. Your photos and identity can be stolen too by identity thieves that are plenty online. Unfortunately, that seems to be happening more and more. If you pay attention to the National Cyber Security Alliance, half of the attacks of this nature are aimed at companies that have less than 2,500 employees. Hackers have leveled up their game and can infiltrate even the most sophisticated and advance security measures businesses have put in place to protect their clients. It is why data security and data privacy are now the focus of everyone to ensure that their data isn’t exploited by some creep for monetary gain. A recent report by the National Cyber Security Centre (NCSC) and National Crime Agency (NCA) (the “NCA Report”) described the cyber-threat to UK business as “significant and growing”. 65% of large UK firms detected a cyber security breach in the past year according to the government’s Cyber Security Breaches Survey 2016 (the “Cyber Survey”). Against this background, cyber security combined with effective risk management, is a key priority for businesses in 2017. Three factors contribute to this increased threat of cyber-attacks. First, the Internet of Things (IoT) and the progression towards an ever increasing number of internet connected devices provides hackers with more attack vectors than ever before. Secondly, hackers are learning from each other and sharing their knowledge. Thirdly, the technical expertise required to carry out cyber-attacks is declining, as DDoS (distributed denial of service) and malware can easily be obtained on the dark web. While we often shrug off issues pertaining to data security and privacy on the web, we may unconsciously easily fall prey to cybercriminals who have become adept and skilled in stealing valuable data. By now, we’ve grown accustomed to our devices listening to us. Siri, Google Assistant, Alexa, Bixby, Cortana, and every other disembodied virtual taskrabbit has been hearing our commands—and who knows what else—for years. But, with its last two smart hub devices, Amazon has pushed one step beyond the microphone, asking users to install cameras in their homes. Yesterday, with the announcement of the Echo Show, Amazon reaffirmed its plan to have Alexa see you in addition to hear you. It’s a small step forward in terms of usability, but a major can of worms when it comes to our security and privacy. For most users, the greater concern might not be what Amazon or the government wants with the Echo, but what hackers can do with a microphone, camera and screen placed on the bedside table or in their child’s nursery. In this case, the only immediate protection for most people will be the skill of Amazon’s engineering team. We saw a similar conversation take place regarding smart TVs and their ability to hear things they maybe shouldn’t. We have been used to having devices do things for us. It started with home appliances that made preparing and cooking food easier as well as cleaning up after. Then, there came entertainment systems that made our lives more enjoyable and exciting. Today, it’s all about smart gadgets that connect directly to the web for our comfort and convenience. No need to buy a bulky computer or pricey laptop to go online. We can now access the web using a device we can easily put in our bags or pockets. And with the drastic rise in Internet users is the issue of our safety and security when using the web. Can we trust all sites that we visit? Are our data really safe from hackers? We can’t really tell, right? Just stay vigilant and careful of the sites you visit and make sure important details aren’t visible to the public. Having an antivirus and firewall can likewise protect you from potentially malicious sites. 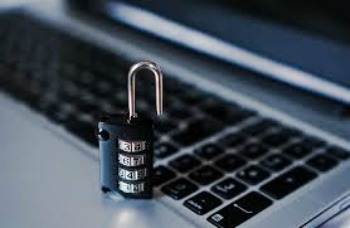 There are a lot of other ways to protect your data from online thieves and feel free to ask the experts like https://www.harddrivefailurerecovery.net/mac-data-recovery/. Kindly check the link as well to learn more about data recovery if you are a Mac user. https://www.harddrivefailurerecovery.net/do-your-data-recovery-for-mac-a-nice-tool/ can also provide you some insight and a helping hand for individuals who aren’t handy with technology. Let the pros handle it to lessen the damage.